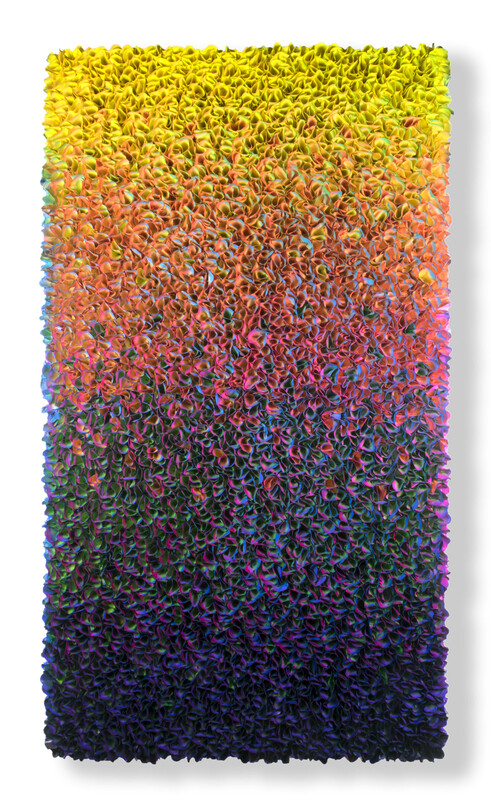 Dallas Design District Gallery, Laura Rathe Fine Art, presents an introductory solo exhibition, ‘Chromatic Shift,’ featuring new works by internationally acclaimed artist, Zhuang Hong Yi, with an opening reception on Saturday, September 9 from 5-8pm. Brilliantly colorful and richly textured, the work of Zhuang Hong Yi has a remarkably physical presence. His recent ‘flower bed’ works are made of delicate rice paper, which the artist hand paints and carefully folds into hundreds of tiny flower buds. 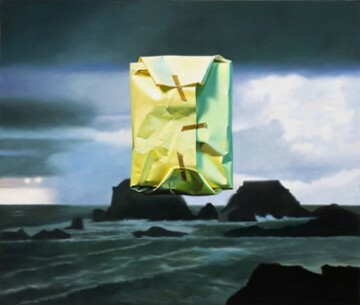 The artist densely gathers these elements into dazzling three-dimensional constructions with colors that shift depending on the viewer’s perspective. This visual play of color and organic form evokes many of nature’s processes, most notably beautiful gardens bursting into life. ‘Chromatic Shift’ will be on view through October 7, 2017. Born in 1962 in Sichuan, China, and based in Beijing and The Netherlands, artist Zhuang Hong Yi draws influence from both his native China and his experiences living part-time in Western Europe since the early 1990s. Zhuang Hong Yi masterfully works in a variety of media, often blending elements of painting, collage, and sculpture into bold series of works that defy traditional categories. The work of Zhuang Hong Yi has been collected and exhibited worldwide in such countries as Belgium, England, Italy, Germany, Spain, and France. A graduate of the Sichuan College of Fine Arts, Zhuang Hong Yi has also been the subject of multiple museum exhibitions including at the Found Museum in Beijing, China, and the Groninger Museum, the Stadsmuseum Zoetermeer, and the Stedelijk Museum Zwolle in The Netherlands. 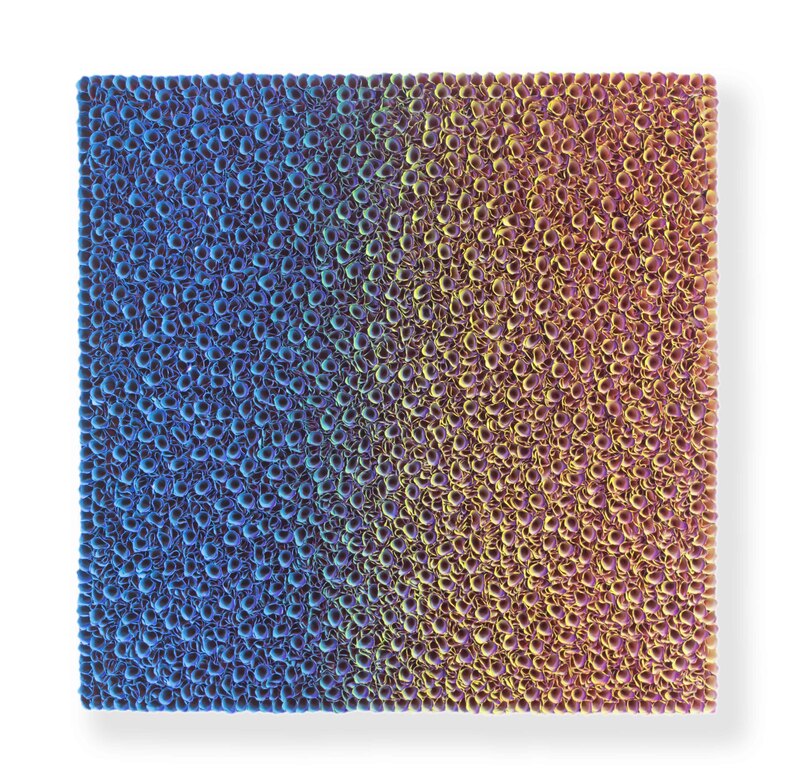 Zhuang Hong Yi, Untitled, 2017, Acrylic on rice paper, 53h x 53w in. Zhuang Hong Yi, Untitled, 2017, Acrylic on rice paper, 73h x 39w in.